Tomorrow, on 14 Adar (March 21 this year) is Purim. We wish all our readers a happy melange kosher Purim! What is it about Taanit esters, explains Rebbetzin Noemi Berger, Born Schlesinger, wife of the former chief rabbi of Bavaria and Baden-Wuerttemberg, very nice in the article "A smaller 'fasting for Esther„. And the third day are esters dressed royal and entered the inner court of the king's palace opposite the palace of the king. And the king sat on his royal throne in the royal hall opposite the gate of the palace. And when the king saw Esther the queen standing in the court, she found favor in his eyes. And the king held out the golden scepter in his hand esters. As Ester drew near, and touched the top of the scepter. Then the king said to her: What is it, esters, Queen? And what do you desire? The half of the kingdom shall be given you. Esther said, If it please the king, let the king with Haman come to the banquet that I have prepared for today. The king said, Hasten Haman, bringing so done what Ester has said! and when the king and Haman came to the banquet that Ester had prepared the king said to Ester, as they drank wine, What is thy petition, Esther? It shall be given you. And what do you desire? Would it be the half of the kingdom it shall be performed. Since esters replied, My petition and my request is: Have I found favor in the king and if it please the king to grant my request and do according to my desire, let the king with Haman come to the banquet that I will prepare for them want. Tomorrow I will do what the king has said. And Haman said to the king, For the man whom the king wishes to honor, let them bring royal apparel, which tends to wear the king, and Ross, it rides the king and whose head a crown royal, and one should dress and Ross give one of the king that he may array the man whom the king wishes to honor and lead him on the horse through the city square and can proclaim before him, Thus shall be done to the man whom the king wishes to honor. The king said to Haman, Make haste, and take dress and Ross, as you have said, and do even so to Mordecai the Jew sitting in the king's gate, and let nothing fail of all that you said. Then took Haman dress and Ross and dressed Mordecai and led him through the square of the city, and proclaimed before him, Thus shall happen to the man to whom the king wishes to honor. And Mordecai came again to the king's gate. 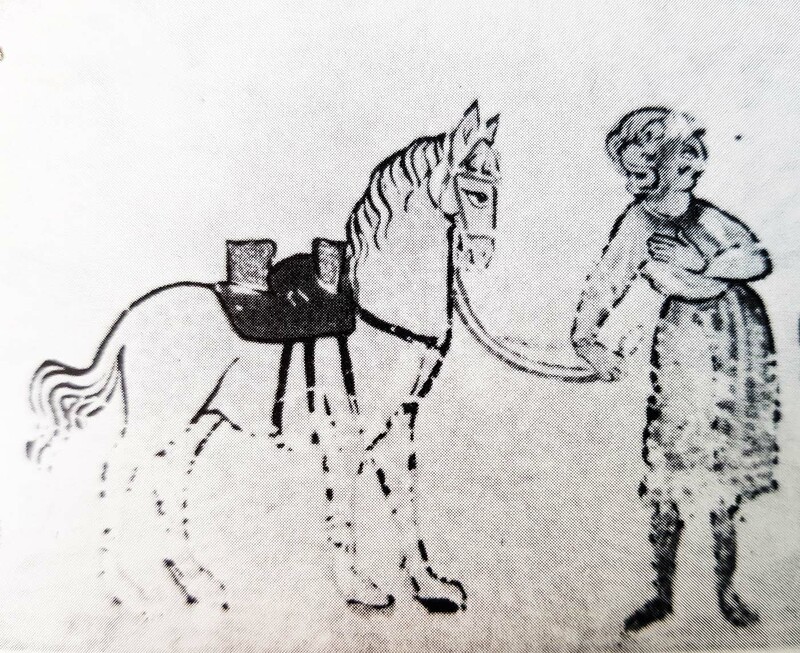 But Haman hurried home, mourning and having his head covered, and his wife Zeresh and all his friends told him everything that had happened to him. Since said to him, his friends and his wife Zeresh: Is Mordecai, before whom you have begun to fall, seed of the Jews, thou shalt not prevail against him, but you will completely come to the case before him. 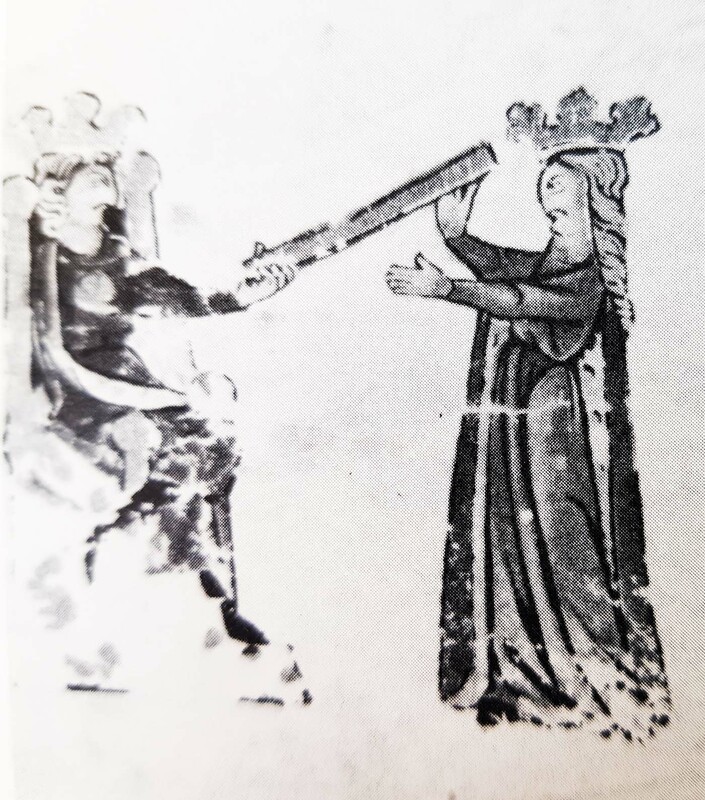 In Jewish tradition, this royal commission for a longer conversation between Haman and the king in which Haman tried in vain to dissuade the king from letting the Jew Mordechai get this honor is. 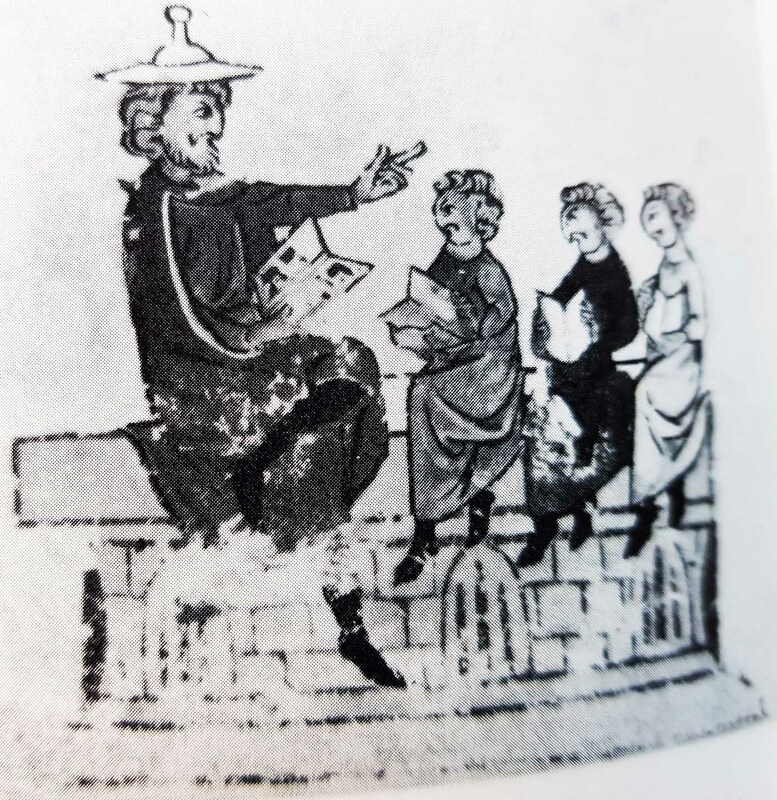 The illustration on the far right is derived entirely from the Jewish legend: we see Mordechai with Jewish hat, as he teaches three students (bareheaded). All hold an open book in her hands. 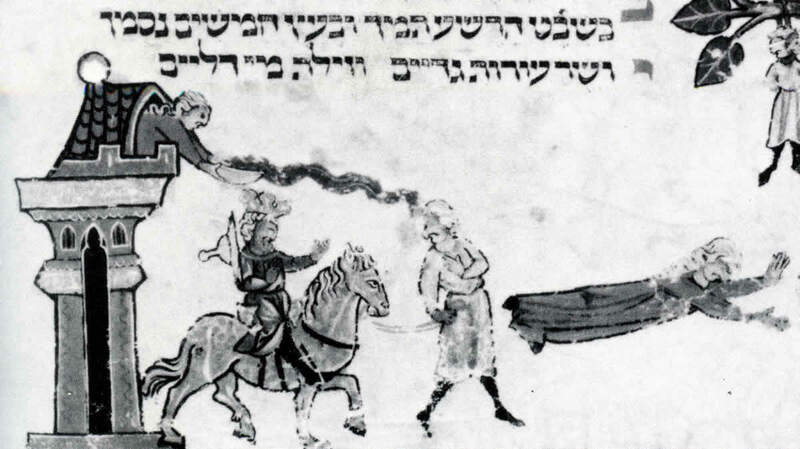 As the story goes, we already know, see our Blog articles on Purim 5775/2015. For when the pageant with Mordechai am led by Haman horse at the house of Haman passed, the daughter of Haman the attic of watched and wanted to humiliate the Mordechai more. She thought of course that Mordechai lead the horse and her father Haman was the honored Reitende! So she poured the contents of their chamber pot the horse leader on the head. Only when Haman turned around, she realized that she had not compromised Mordechai, but her father and jumped out the skylight down to death. Recommend Purim particularly we would like the available online Megillah, the Mischna Megillah, the Megillah for children and Articles "Purim - Festival of victory over the adversaries"And"Sleeping and Purim„, alles zu finden auf der von Chajm Guski geführten Website.